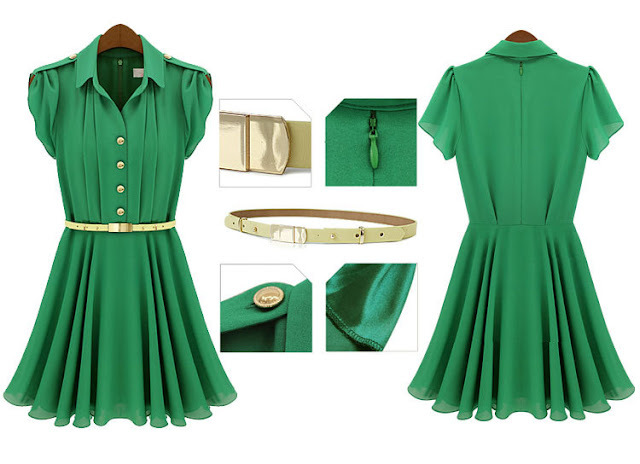 This is a very cute dress, in borg colours but the green is unique!! Green is bright for Spring, right? The combination of these two colors is so fab!! I love it!!! The green dress is perfect!! Wow that dress is fabulous! So, so pretty! Thx a million for loving it. Thank u very very much dear. Thx very very much for following me. LOVE LOVE LOVE that green belted dress! That dress is so pretty, love it in those two colors! Thanks for invintation to follow each other, I followed you here in blog, funned you on LookBook and followed on blogloving! Hope you follow me back! Nice вфн! PS Love your green choice ! wow, give me your lookbook link please! If u need I can tell u where to get it. Awesome dress! Liked the green one. Thx for stopping by dear. I LOVE green! I want green dress. I need a green dress! I love green!!!! Amazing post!!! Many kiss from Andalucía!! Thank u very much for leaving comments on my blog.